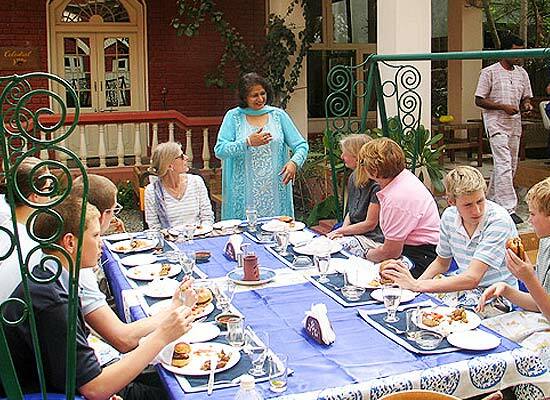 "When on a tour to Amritsar, Ranjit's Svaasa is one of the ideal accommodations for tourists. The heritage hotel in Punjab offers a royal living to all the guests and gives a glimpse into enchanting charms and serenity of Amritsar. Traditional warm welcome with modern conveniences at every step, a stay in this hotel is hard to forget. The hotel boasts of two consecutive Awards of Excellence by TripAdvisor which showcases its success. The heritage property, Ranjit's Svaasa was constructed approximately around 250 years back by Nanak Shahi who was a descendant of Rai Bahadur Rattan Chand. 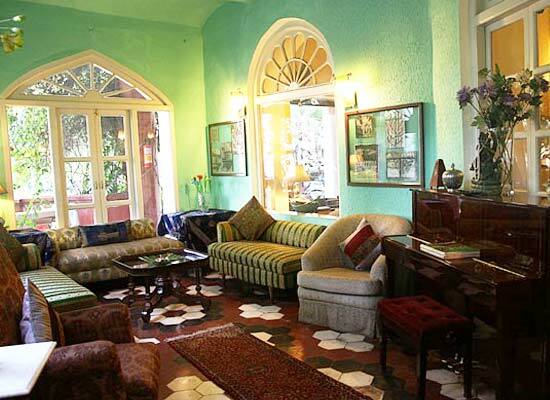 The Haveli existed as a royal guest house for the most part of 19th and 20th century. 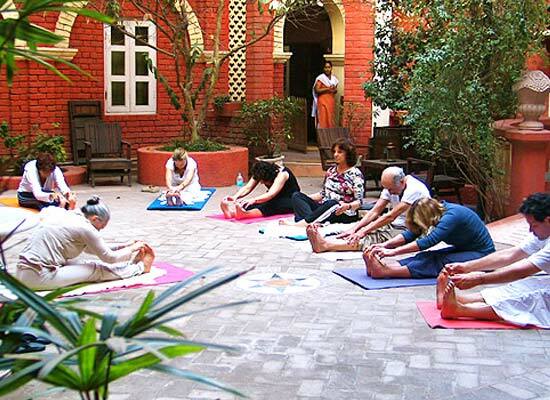 Numerous honored guests from all across the world have stayed in this antique haveli. All the 19 rooms in the hotel are designed with utmost attention to detail. The rooms are very colorful and decorations in the rooms are very traditional and exotic. 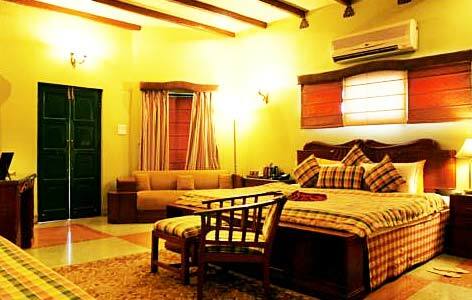 Every modern conveniences required by the guests are present in the rooms. 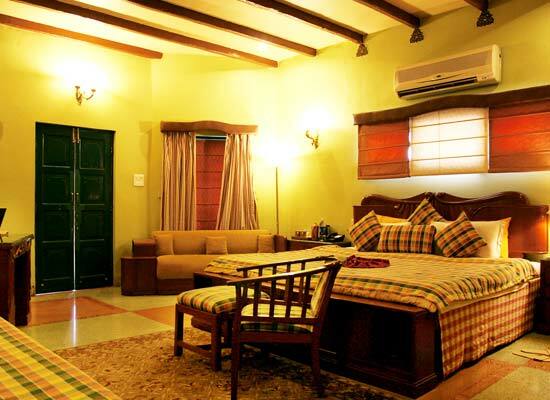 All the rooms have are very spacious and have an additional open view terrace offering glorious sights of Punjab. The rooms are divided into 2 Presidential Suites, 3 Ratnavali Suites, 8 Luxury Suites and 6 Svaasa Suites. Dining by the Garden: The multi-cuisine Garden restaurant serves delicious Indian and International cuisines buffet style. Herbs cafe Lounge: This is a fine lounge for enjoying exotic music along with organic beverages and quick bites. Empire Lounge: This lounge is ideal for holding business conversations/meetings along with some International brands of liquor. The city of Amritsar is Punjab is regarded as the Sikh’s spiritual Centre. The city is mainly known all over the world for the magnificent Harmandir Sahib, commonly called as "Golden Temple" which is the cultural and spiritual center for Sikh population. This religiously significant site attracts more number of tourist everyday as compared to Taj Mahal. It is recorded as the most preferred destination of NRI as well. Akal Takht, Sikh political and temporal authority, and Sikh Parliament are also located within Amritsar.